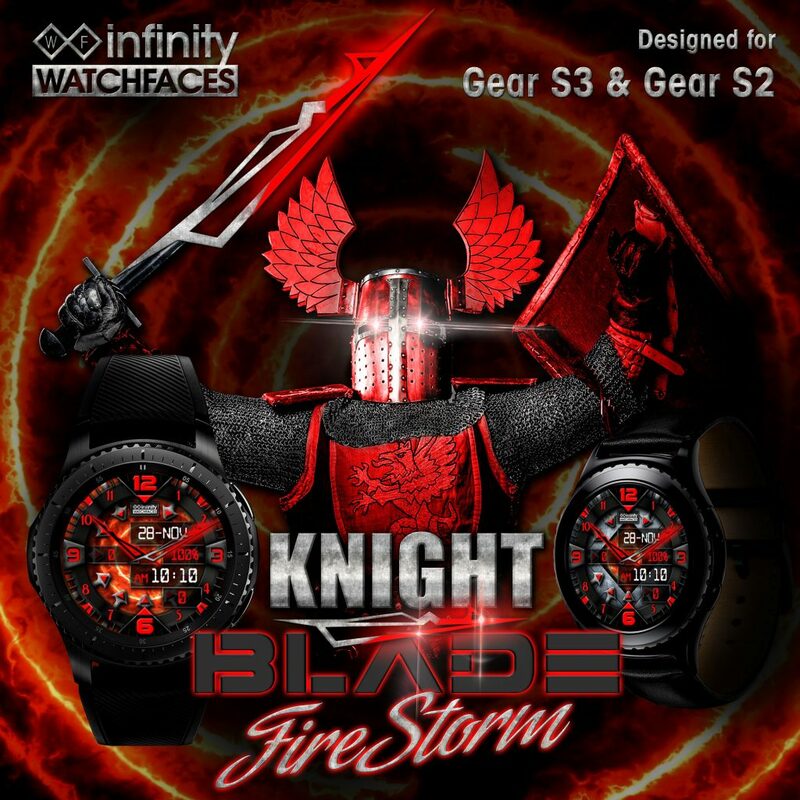 “Forged in fire from deep within the Earth, there is a Blade with the power to dominate the world.” Infinity Watchfaces Presents: Knight Blade: Fire Storm – the next watch face in the Knight Blade series. Keep track of step count, heart rate, battery level, date, and time as you battle with blazing fury! 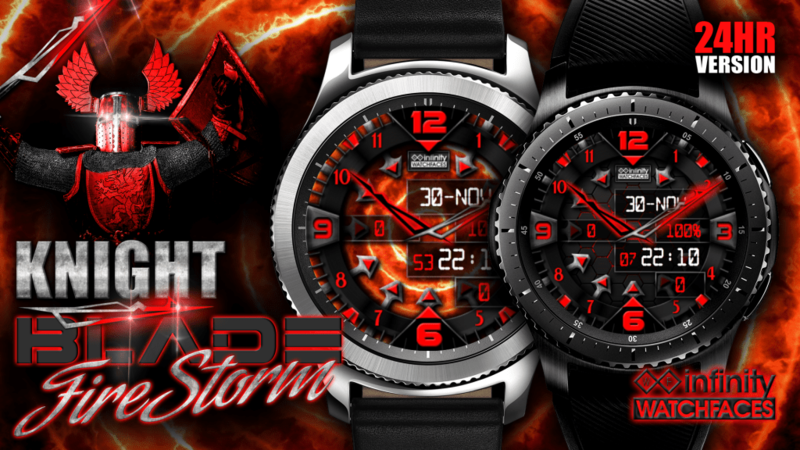 Be the chosen one with Knight Blade: Fire Storm from Infinity Watchfaces! Designed for the Samsung Gear S3 and Gear S2! PreviousPrevious project:Knight BladeNextNext project:Epic Unicorns Farting Rainbows!